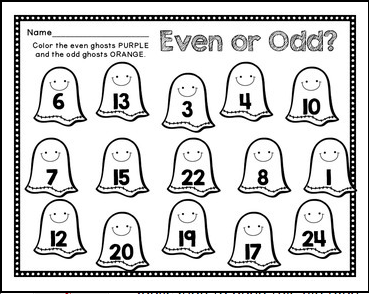 This pocket chart sort activity makes for a great math center to reinforce the concepts of ODD and EVEN numbers. Students must sort the numbers into the correct haunted house. A follow up printable is included. This can be used with the center or separately to assess students' understanding of the concept.